For a fun photo, I give you one of the happiest songs ever. A 1985 dance hit that will get you spinning as fast as this carrousel! Tags: carrousel, lights, fun, friendship, happiness, entertainment, night. First time in London and I was welcomed by winged Icarus and bright skies. London’s brightest time of the year is Christmas and I forgot about the cold more and more as I turned a new corner. 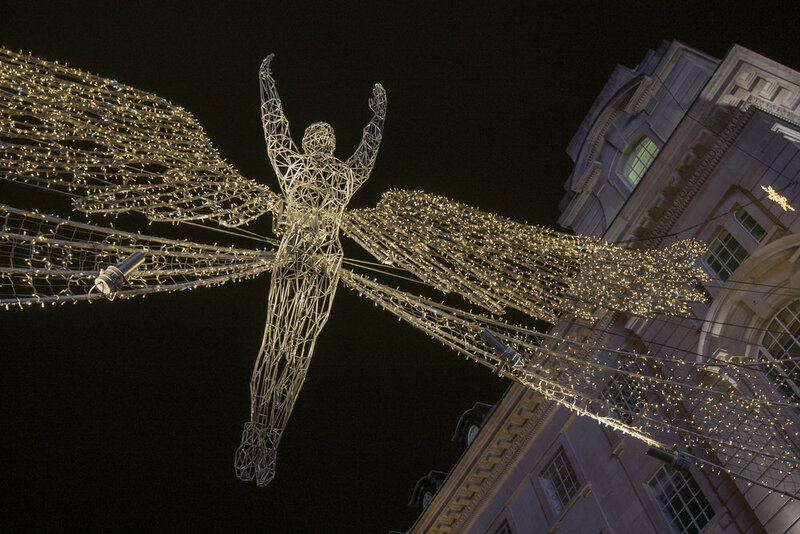 Tags: London, UK, Christmas, decorations, lights, travel.